What will the future look like? What are the threats and opportunities? What strategies should businesses adopt to prepare for the challenges to come? And what policies should Governments adopt? ICAEW’s BusinessFutures project is looking to tackle some of these questions and come up with a few tentative answers. Watch the video to learn more. ICAEW is searching out the answers to a number of key questions that will guide businesses over the next 25 years. What will happen to businesses if water becomes a scarce and expensive commodity? Will multi-nationals always be able to shop around for the lowest tax regimes and, if so, how will governments raise more revenue? What can be done about the ICAEW and Centre for Cities finding that half of all school leavers in Britain are not adequately educated to enter the workforce? How far should a business go to accommodate older workers and would you trust a 75-year-old surgeon to remove your appendix? ICAEW BusinessFutures is a new long-term project looking at the potential changes to the business environment over the next two or three decades. This will affect business across the UK including the Northern Society area in the north east & Cumbria. the development of tax policies and their impact on businesses and governments. We want as many NorSCA members as possible to contribute to these discussions. What will business life be like in 2035 in the north east & Cumbria – and across the UK and the wider world? 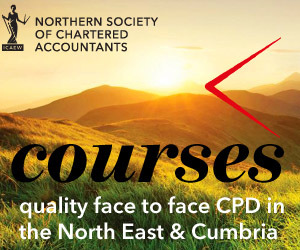 ICAEW would love to hear the thoughts and ideas of Northern Society members and ACA students in the north east & Cumbria. Look out for future discussion and events on BusinessFutures.